Everybody is afraid of snakes. Humans don't know how to deal with snake poison. But of course snakes are just animals, and are themselves afraid of humans. Some snakes are poisonous but not all. 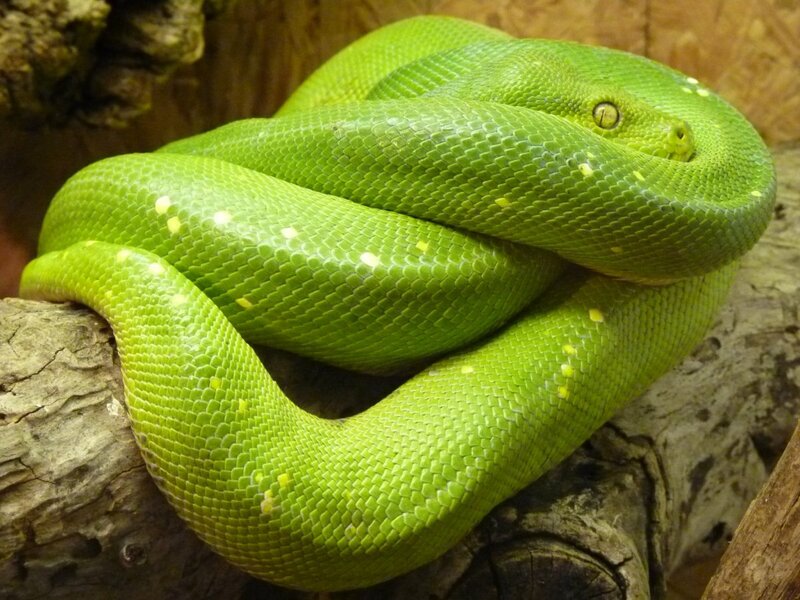 There are many misconceptions about snakes. The truth is, snakes don't bite unless you disturb them or frighten them. Like other animals, snakes are an important part of the food chain, and we should respect them for their position in the chain and for the work they do for farmers. 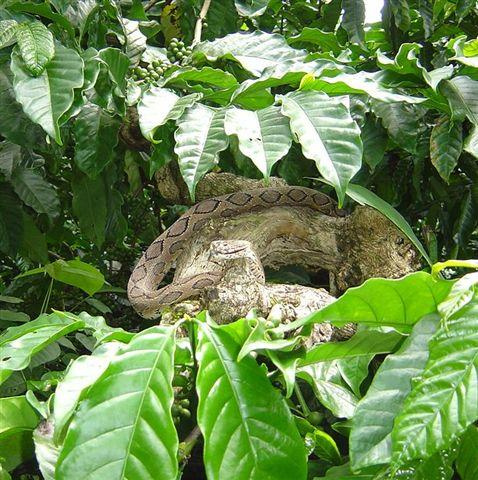 Snakes are particularly amazing in controlling rats, which left alone can destroy a whole crop overnight. This is important because in India the main source of income is agriculture and many people depend on their farms for their livelihood. There are many poisonous snakes worldwide, but we will focus on Indian snakes here. The most famous and most feared snake in India, the king cobra is a large and powerful snake. The king cobra's skin is either olive-green, tan, or black, with faint, pale yellow cross bands down the length of the body. The belly is cream or pale yellow, and the scales are smooth. 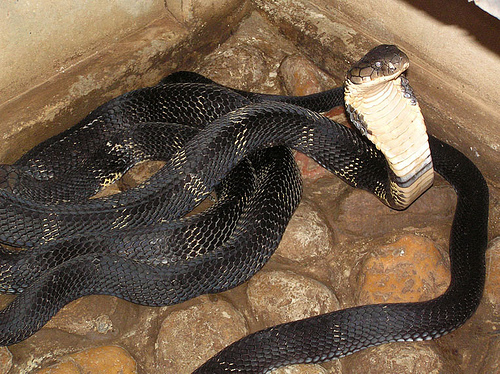 People treat the king cobra as a god in India. Indian kraits are covered in smooth glossy scales arranged in bold stripes of alternating black and light-colored areas. Found in most of India, they have the generic name of Bungarus. Kraits contain neurotoxin venom that is 16 times more powerful than cobra venom. It quickly induces muscle paralysis. Victims may die of asphyxiation in a few hours if they do not get proper medical attention. The venom contains mostly pre-synaptic neurotoxin, which affects the ability of nerve endings to release the chemical that sends the message to the next nerve. 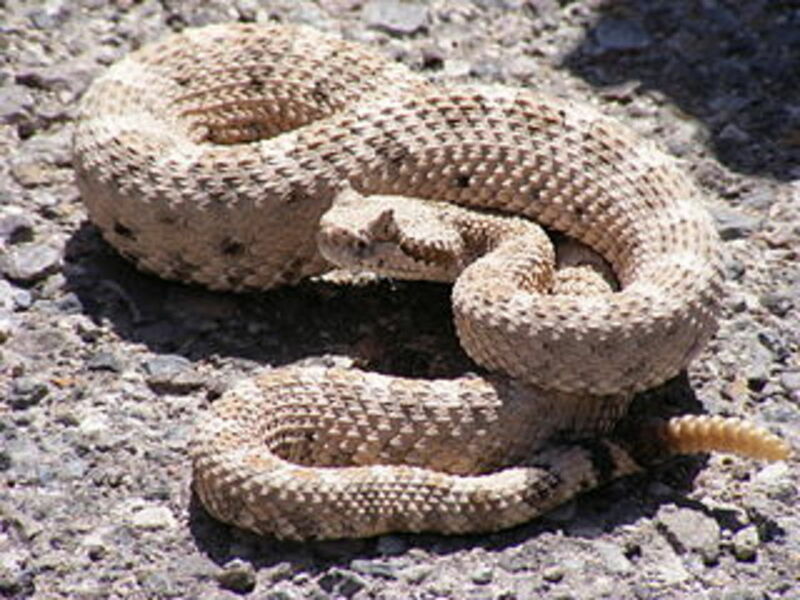 The Russell's Viper or Daboia has a triangular head like other vipers and rattlesnakes. Its head is flat and its snout is blunt, raised, and rounded. Its back has large spots with dark outlines. The most remarkable thing about this snake is the amount of venom it produces. 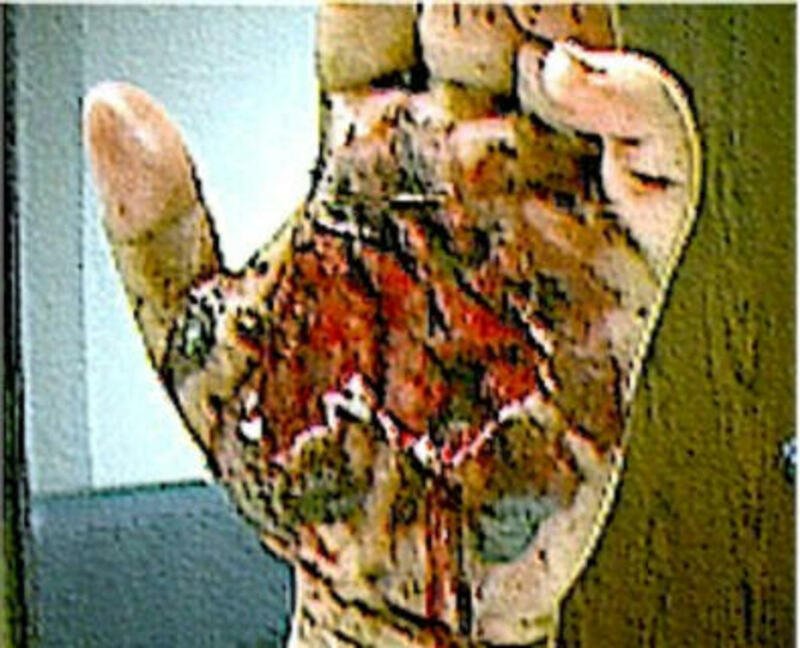 The symptoms of the bite are pain at the site of the bite, immediately followed by swelling of the affected extremity. The venom affects the blood. Bleeding, especially from the gums, is a common symptom, and the sputum may show signs of blood within 20 minutes of a bite. Blood pressure drops and the heart rate falls. 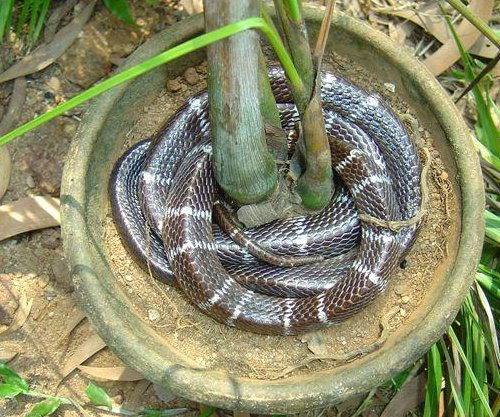 Indian krait is number one venomous sneke in India. Snakes are good for human race and the world, as because of them and lord shiv we don't have to drink the poison they drank. Snakes are the actual beauty of the nature.Their poision is very usefull for making the medicine for the dangerous deseases. I m doing research on snake bite i like it but very dangours when it angree...... there r lost of death due to snake bite in india n wolrd. I like snakes and most important.... I won't save them..... I m snake feiend.. I like bring snakes... every types..
Mujhe snakes pakadna achchha lagta hai... muze unko bachhana hai.... they had a beautiful gift in the nature.. I fear from snakes but i don't kill them. I LOVE SNAKE. NATURE LOVES ME. IF YOU KILL SNAKE NATURE WILL HATE YOU. They r really vry interstng!!!! As I am a herpetologist, I found that the study of snakes is becoming neglected day by day.But people around the different spheres should come forward to protect them for the postrity to cherish. Amazing creature.A spectacle Cobra run behind me from the top of the hill till I reached at the bottom.All the time I was looking behind & finding him running behind me.I love that creature although my heart bit was at its maximum. Snakes r animals.so they too have right too live So don't kill them! I am a snake. We bite humans when they look as if they taste nice. If you wear some cauliflower or cabbage or something else that tastes horrible we definitely wont bite you. But if you wear chocolate or chicken or cheese on your legs, we will want to bite your legs. I am a snake friend i like to save snakes, because they are balanced the food chain. 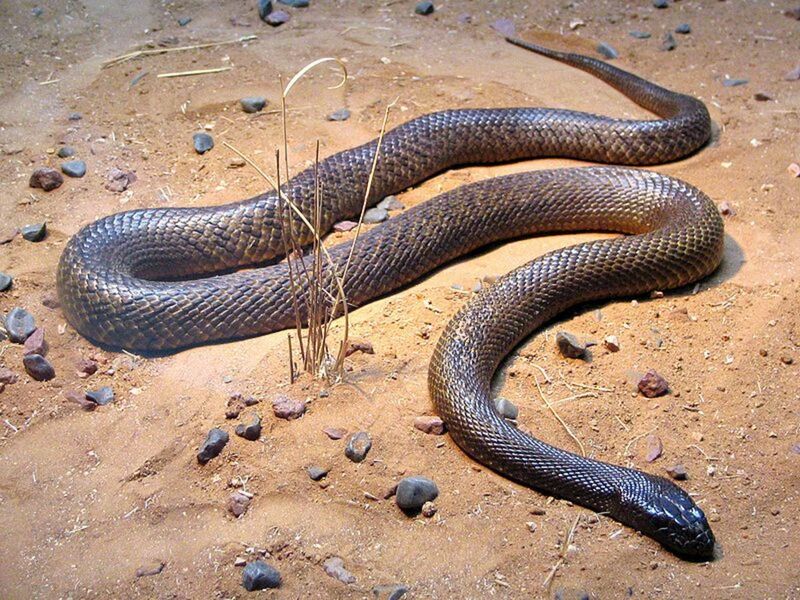 Some snake species have become threatened due to land clearing for agriculture, urban development and through the introduction of animals such as domestic pets and the cane toad. 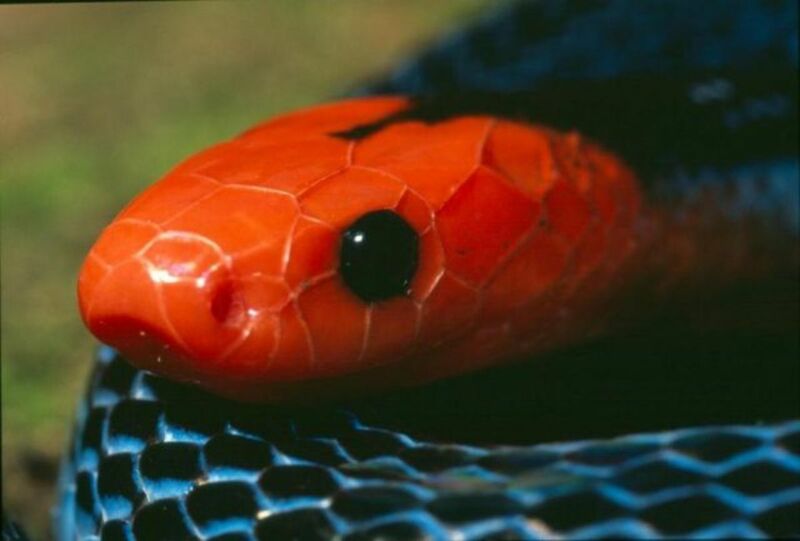 Maintaining a high level of biodiversity is important to all life on Earth, including humans, and snakes are an important part of that biodiversity. In Australia, we forget that snakes and other reptiles make up a significant proportion of the middle-order predators that keep our natural ecosystems working. Without them the numbers of prey species would increase to unnatural levels and the predators that eat snakes struggle to find food. from- belgaum dist , chikodi. ITS COOL,IT HELPED ME TO SCORE HIGHEST IN MY CLASS FOR 100 I GOT 94 IN BIO. THANK YOU. I Like snakes bcoz its very interesting and I like to study about snakes. i love snakes. the are the most beautiful creature i have ever seen. from my child i use to keep watching all the program on snake on t.v. the i started catching them keeping them with me for a while and then leave them. i got a lot of scolding in school for catching them. i use to collect venom from the poisonous one. i don`t know how they find me or i find. one day one of them was just under my pillow. snakes is identify the mens by sound of the foot.its really true. I love snake they are beautiful and nice also they are a part of our food chain. Save snake not kill them. I love snakes. plz save the snakes. guys snakes are the mst silent creatures but even cums to their MACABRE form when irritated so to unse thoda dooor rahne ka aur thoda cool bhi rahne ka you won't b HISSSSSSSED!!!!!!!!!!! snakes scare us and save us. snake venom is currently used in research for cures for life threatening diseases.and is getting many results, good ones. I am very interested in snakes because it was very amazed in studying about snakes. 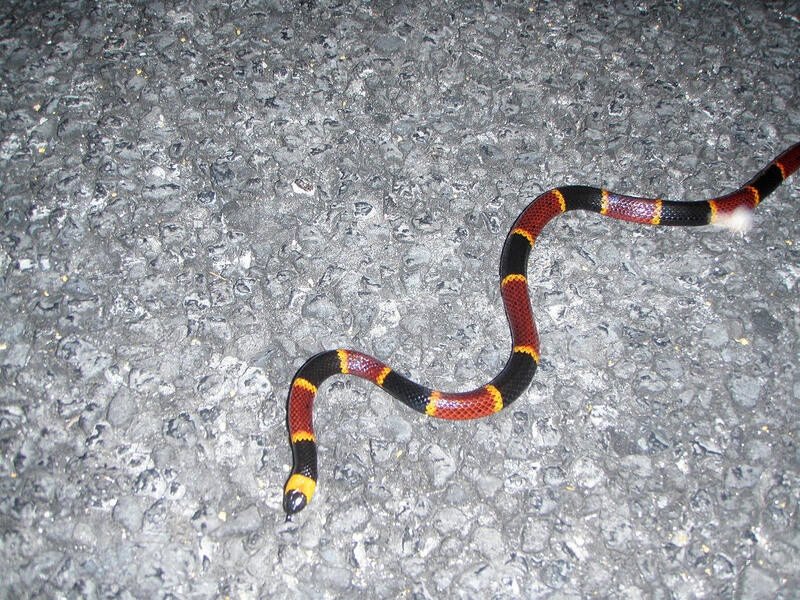 Saw a snake,about an inch thick with black and white bands and 2 or 3 yellow orange thin stripes running along its body and lighter yellow orange over the black bands and darker over the grey/white bands, seemed to have a triangular head, was probably young snake. Could you tell me what it was? Can't find it anywhere on the net. I photographed it because unfortunately we killed it out of fear. 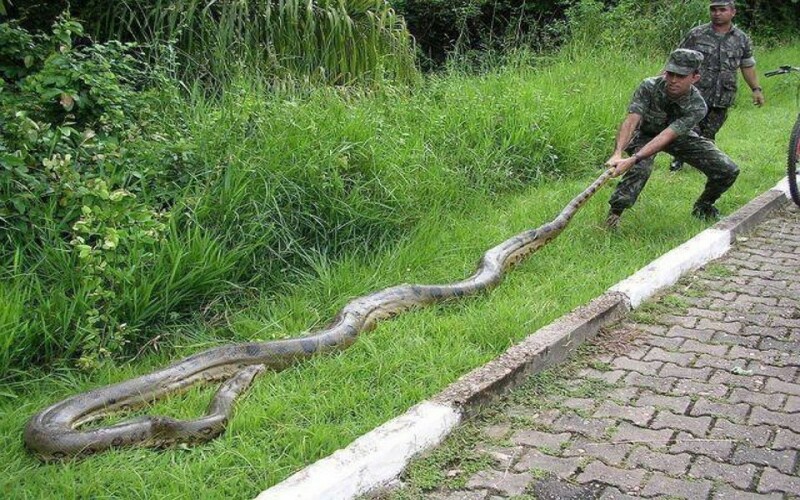 other animals are cute but snakes!!!!!!! horrible , terrible and dangerous. and poisonous or venomous snakes more.but i love them but learning about them interesting even they are interesting. and i love them!!! The animals are lovable ones. In that case the cobra snakes as its variety but the snakes are good friends only if we not disturb them they do not bite us . it is very interting to study about snakes..
which of these are seen in the day and can be captured more easily than others ? dangerous and venomous but least than a collage girl. ithink most beautiful animals in the world & very friendly to us. i like snake .becoz snakes have a more ciriminal mind ano how to catch the rat or whatever.so i like more know about the snakes.